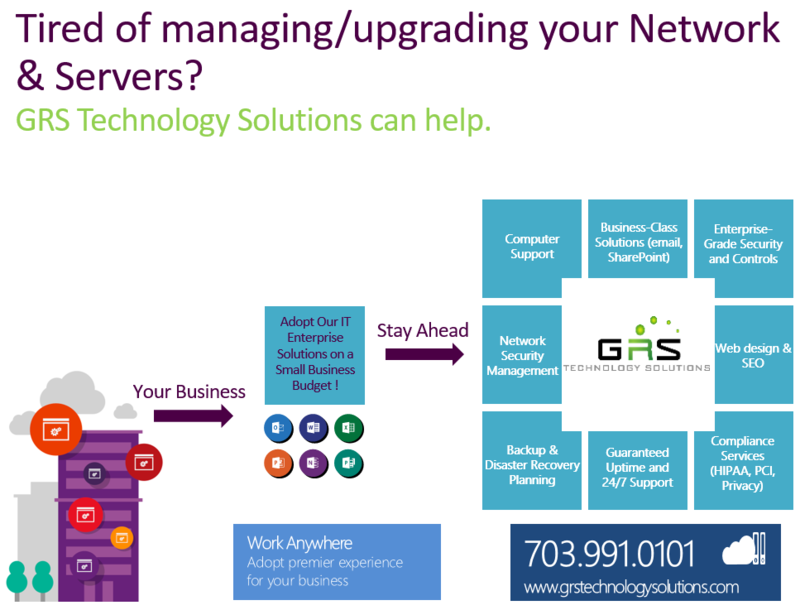 GRS Technology Solutions provides a wide range of cloud-based solutions intended to replace your basic server infrastructure. Never worry about budgeting major server upgrades or additions ever again. Turn those high capital expenses into more palatable operating expenses. Want your IT to start working FOR you? Contact us.